As some of you guys know, I’m a Brand Ambassador for Command and a big fan of their products that I use regularly around our home to hang picture frames (see Mila’s desk makeover) or lighter items like this beautiful Lappalainen brass mobile which I hung from the ceiling in our lounge. Discovering products that would allow me to hang all my photos without having to drill into our new painted walls was a major lightbulb moment when we renovated our home in London and I’ve never looked back since then! So today, let me show you how you can create a beautiful gallery wall in your home with this series I photographed on the beach near our home in France. Command has a range of different products to hang picture frames but my favourite are by far, their picture hanging strips, which are super easy to use and can hold up to 7.2 kg. They are super quick to use, allowing you to display your frames on your walls in less than 10 min. without pulling the drill out of the DIY cupboard. Easy…first you separate the strips and press two together until they click. Position them on each side of your picture frame – at the top (you can get away with two sets on the back of a light picture frame but for larger frames like the one I hung in our bedroom, I always put a set in all four corners to make sure it will hold onto the wall properly). Then you peel off the back strip liners and position the frame where you want it on the wall. I usually position a spirit level on top of my frame before pushing the sticky strips against the wall to make sure it’s straight. Then hold your frame onto the wall for about a minute and gently, pull out the frame to leave the adjoining hanging strips on the wall. Wait for an hour to reattach the frame to the strips on the wall, then reposition your frame onto the wall by simply clicking the strips back together et voilà! 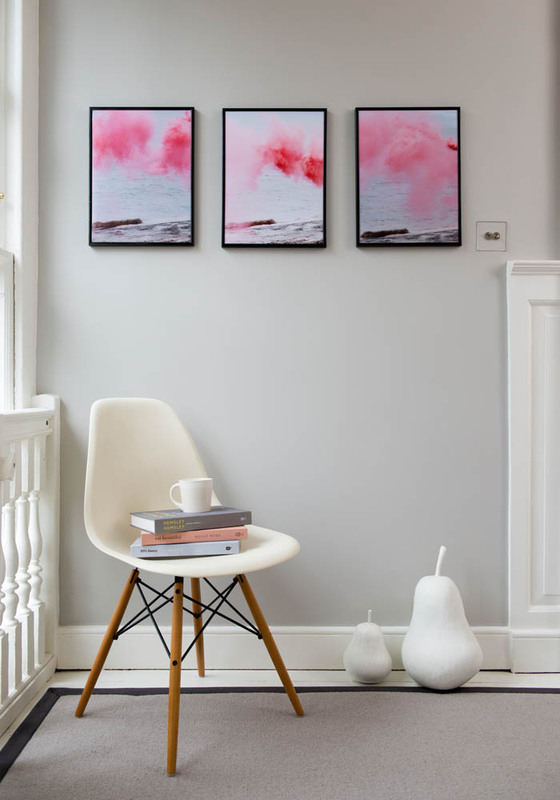 You have your favourite picture on the wall without even drilling into your wall! How cool is that!? And the best bit- if you wish to remove the picture strips, they come away damage-free! You first need to remove the frame by holding the bottom corners to peel it away from the wall, then pull the tab straight down against the wall, slowly. Take your time and keep stretching until the strip releases from the wall leaving no marks or mess!! Please make sure you follow the instructions on the box or check out the instructions here. You also need to make sure that your walls are healthy and not flaky to start with. I hope this has been helpful and shown you that with the right products, you can create a beautiful gallery wall in your home in no time without drilling into your walls or damaging them!